An Environmental Product Declaration (EPD) is an independently verified and registered document that communicates transparent and comparable information about the life-cycle environmental impact of products. 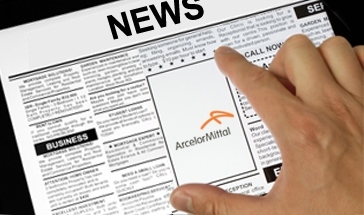 The EPD for ArcelorMittal Europe – Flat Products’ Solano® Nature organic coated steel coils is now available. The declaration is in accordance with EN 15804 and demonstrates the high efficiency of this innovative solution for sustainable outdoor building. Solano® Nature is a robust, flexible and corrosion resistant organic coated steel specifically developed for roof and wall cladding applications in demanding environments, including industrial and coastal. This product is a phthalate-free, chromate-free and heavy metal-free paint system of 200 µm, combined with a hot dip galvanised or galfan substrate. It is offered in a rich diversity of colours and with an embossed, leathergrain, pattern.